Brian Staveley debuted with The Emperor's Blades, beginning the powerful epic fantasy series Chronicle of the Unhewn Throne. The Emperor's Blades is jammed full of sheer coolness: we have inter-dimensional teleportation, victimized sorcerers, an adaptation of Buddhism that is literally guarding the world, a seriously creepy interpretation of elves, assassin squads on birds… the combination is explosive. And on top of that, the author doesn't shy away from dealing with issues of race, gender, sexuality, and especially class. Also, let me just say that while I'm often suspicious of prologues in epic fantasies, this is a book that executes it perfectly: it is creepy and poignant in the best way. It doesn't become evident until later just how perfectly the prologue sets the stage for the rest of the novel. There are three POV characters, and my favorite part about each of them is their utter practicality. On one hand, they're all royal children. On the other, they've each spent their lives taking orders and dealing with constraints that have nothing and everything to do with their birth. They're born as princes and princesses and raised to understand that with those positions comes a lot of hassle, expectations, and complications. None of them whine or waste time brooding: they work, and they work hard. This book wasn't so much Adare's story, so I hope we get more of her in the next installment. I have to say I would have preferred a little more competency from Valyn. For someone who's supposed to have been training for years as a team leader, he has problems with both executive decisions and understanding teamwork. Adare, too, is supposed to be highly schooled in the intricacies of politics, but in every scene we see she's never learned to control her impulses when speaking in public. The safety of the Empire rests with Kaden, yet the monks tasked with his education have taken years to notice how little he's truly understood. That last, though, got really interesting very quickly. Kaden fails a lot in his training, but it's because he's thinking too much and actively trying. I can get behind a character who is active and thinking, even if that means he's not accomplishing what he's meant to. There were, however, some holes in logic. No one in the book seems to be familiar with the concept of “circumstantial evidence.” Seriously, no one, in any of the POVs. And more than once, a character claimed not to have had a single opportunity to have a conversation about a crucial plot point, which I had difficulty buying. 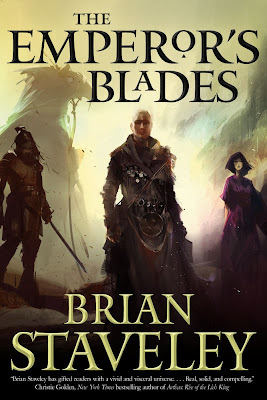 Stylistically, I know this is a matter of preference as there are a lot of readers that live for the sort of detail Brian Staveley provides, but for me there was a little too much in the way of exposition. He did thoroughly address unfamiliar concepts, though: for instance, distinguishing vaniante from the familiar concept of enlightenment was hugely helpful. And Staveley does do some really fascinating world-building (I will give a pass on the quantity of stew). Not just in terms of cultures and landscapes, either (but it must be said I am SO PLEASED with settings in this book that go beyond the vaguely medieval European derivatives): he's going deeper into the natural world and how it works. I loved the kettral (giant birds that a force of assassins then flies into battle on) and assorted terrifying creatures that I won't spoil for you. He clearly knows a lot of the background of this world, which helps it feel fleshed-out, like it has a history before this story begins. So, I had some nit-picks about quantity of exposition and suspension of disbelief holes, but the story itself? I couldn't put it down, and I'm confident that The Providence of Fire will be even more epic. 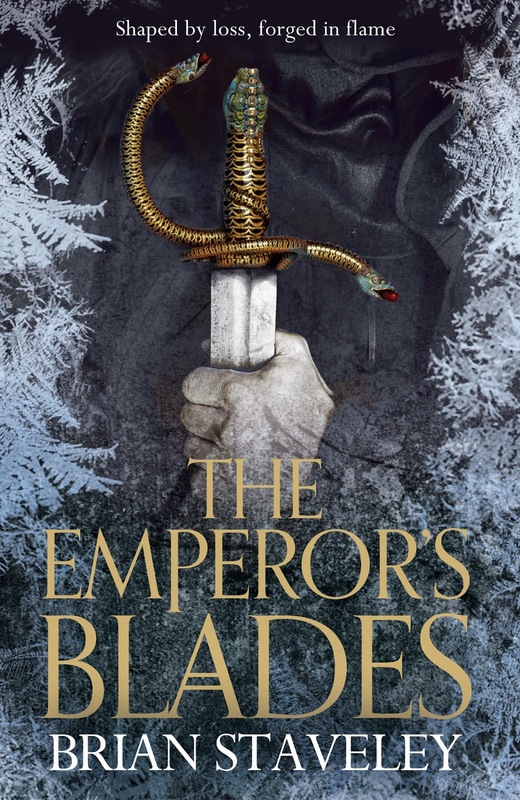 NOTE: The Emperor’s Blade was published in North America on January 14, 2014 via Tor Books with cover art provided by Richard Anderson. The UK version (see above) was published on January 16, 2014 via Tor UK. I couldn't agree more with this review. I found the exact same flames to be frustrating but still ended up rating the book a 4 on GR simply because the author was able to overcome the shortcomings of the novel with the positives you pointed out. Awesome review.